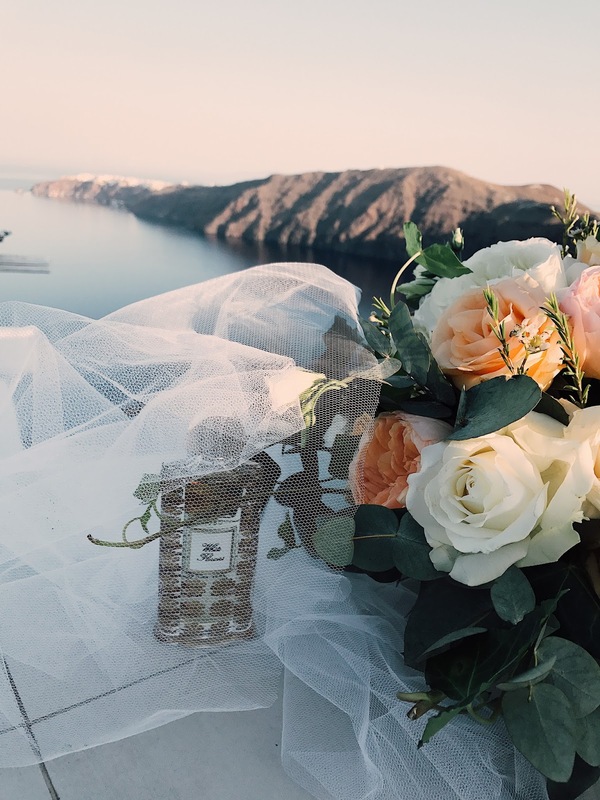 A blog and The Life In Between : The importance of wedding scent. The importance of wedding scent. One of the most important parts of your big day. Back when we got engaged I red all sorts of articles on wedding planning and came across an interesting article on the importance of a wedding scent. 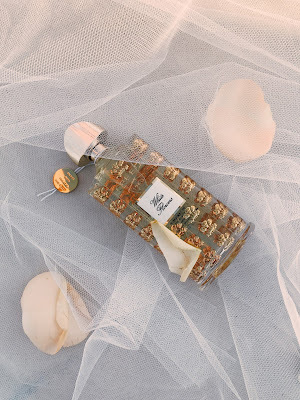 In the beginning I couldn't understand why it was so important to have a wedding scent but now that I have gone through the process myself and had my own wedding scent I thought I'll share the importance and some tips with you! The importance. Importance of the wedding scent is just as important as the flowers you have picked out for your wedding. 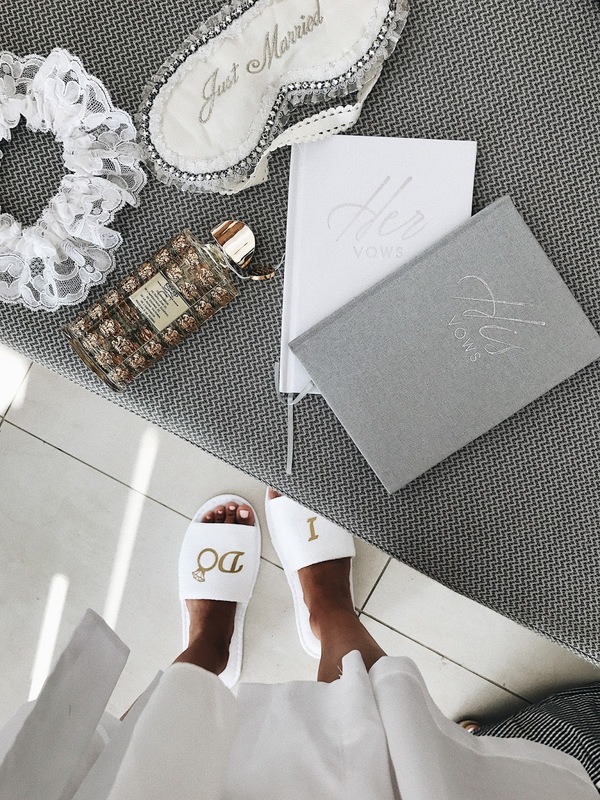 Once you have a theme picked out for your big day which can be anything from boho, romantic to a black tie you need to make sure the theme stays obvious all across. What I mean by that is if you have romantic flowers such as white roses and lose greenery in your bouquet you don't want to have tight flower arrangements on the tables, not only that wouldn't look right but it would also give away a different feel. You want to make sure everything is in "sync". For our wedding we went with David Austin Roses and lose greenery to create a romantic, laid back feeling. "The One". When looking for my wedding scent I came across CREED - unique, different scent that gave me a feeling of what my "big day" will be like. I originally had 5-7 different sampler sizes that I kept going back and forth to, a few days later I was able to narrow it down to two but was still struggling finding out which one was "THE ONE". Due to my indecisiveness I dragged Adam into this as well and by spraying different scents on my arms asked him which one he liked better - it took him no time to point to the "White flowers" one - SCORE! Once I went along with the scent I realized that the reason why we both ended up liking it was because it reminded us both of our wedding flowers! I highly suggest picking out your dress first as that will set the tone of the wedding. Once you know what you'll be wearing the rest of the wedding decor etc. will be just accents to your beautiful gown. ***If you do have a laid back feel of the wedding make sure to let your guests know as well. Giving them a hint on what to wear will make it easier on them and will help you have the photos that are consistent with your wedding theme. Be different. It's your special day, make sure it's different from every other day of your life. 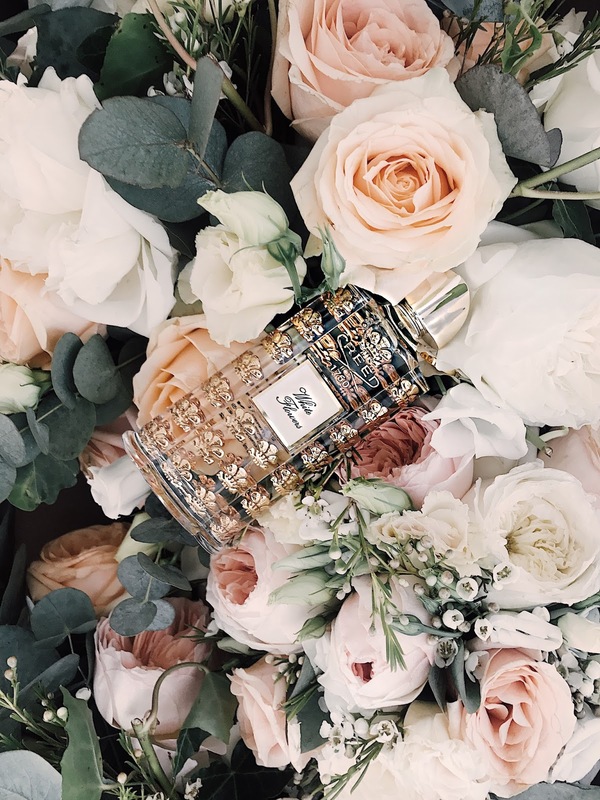 When going shopping for your wedding scent don't go to your comfort zone and run straight to your favorite perfume stand - wander around and explore the new scents. CREED offers a variety of scents which I found all to be romantic and refreshing. You can visit a local Neiman Marcus or Saks Fifth to try out their scents - ask for samples and spray it on different testers, bring it home and go back to it throughout the next few days. Price tag. Let's talk about out the elephant in the room - the cost. We all know how expensive wedding can get and how important it is to not cut corners on the main parts of the wedding such as decor, flowers and a dress. When it comes to buying a perfume price and quality is just as important as your wedding dress and it also isn't the item you can cut another corner on. You want your wedding scent to be a memory-tied and that will come with a price. About CREED: Paris based scent laboratory/boutique that has carried through six generations. My scent: White Flowers by CREED. Les Royales Exclusives Collection which is designed and made by hand in a gold-acented bottle. The collection is mainly focused on special occasions but is also perfect for an every-day scent afterwards to take you back to your special day. Fast forward to now: Every time I spray it on nowadays it takes me back to two moments from our special day - the first being me spraying it all over my wedding dress and second one of me surrounded by my mom and my best friend as I spray it on and run out the door to walk down the isle to the man of my dreams. Thank you House Of Creed for partnering with me on this post.